An option to disable "Live folders" view for no live/older icon packages. I'm using some Icon packagers that does not have live folders, and in windows 10 most folder are live folders. Pretty much not getting any effect on folders. Disabling folder thumbnail will disable files and pictures view as well. 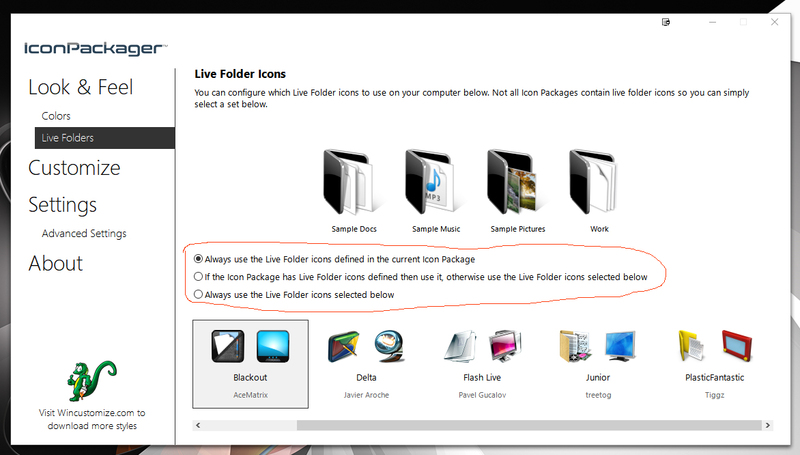 And there are limited "Icon packager" themes with "Live folder"
Is it possible for Icon packager to add a feature to disable "Live folders" and make them regular ones? Doing this manually for each folder will take ages. Hello, I have forwarded your report to the Stardock support team for their review and recommendations. Please keep an eye on this thread for any updates. We really do appreciate your feedback, thanks. No I am not. I did forward his problem to our CM Support Team. Now, how Stardock handle it is purely up to Stardock. I have no power on that. Hope it clear it up. Lol, idk about that, but I find their support to be very friendly and they actually took my feedback in and worked on fast before. Plus he/she has Stardock badge. Thank you for clearing up basj. I have high hopes on you guys. I have a couple of threads where issues I reported got "forwarded" to their mythical team, yet the problems still exist in the software half a year later, actually on most of the things I have installed I haven't even seen an update since I first installed software. You do know there is an option to choose a Live Folder from another IP theme. I do not want to use theme that does not match my current theme, it looked very ugly. We need something simple, as make live folder uses the regular folder icon. "[✓] Treat live folder as regular folder"
I know this can be done manually, but imagine doing this each time you change your theme for each live folder.